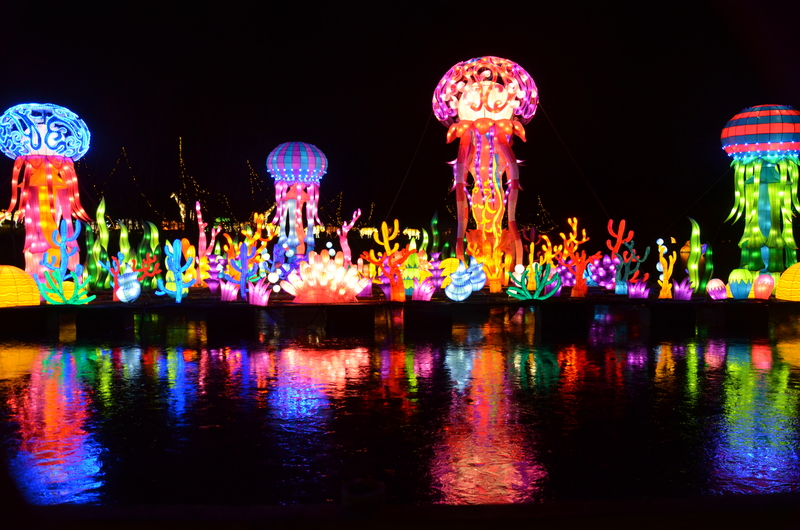 Our Chinese Lantern Festival is one of the most exciting things we’ve done in my 15 years at the Huntsville Botanical Garden. We can’t wait to share this festival of culture and art with our community! Like many people, my first thought of a Chinese Lantern was about the lanterns that you light up and release into the night sky. As I learned more about the possibility of hosting this Festival at the Garden, I realized it was SO MUCH MORE. We had the opportunity to visit Daniel Stowe Botanical Garden in Charlotte, North Carolina while they were hosting this exhibit. We entered “The Wild” and could not believe our eyes! 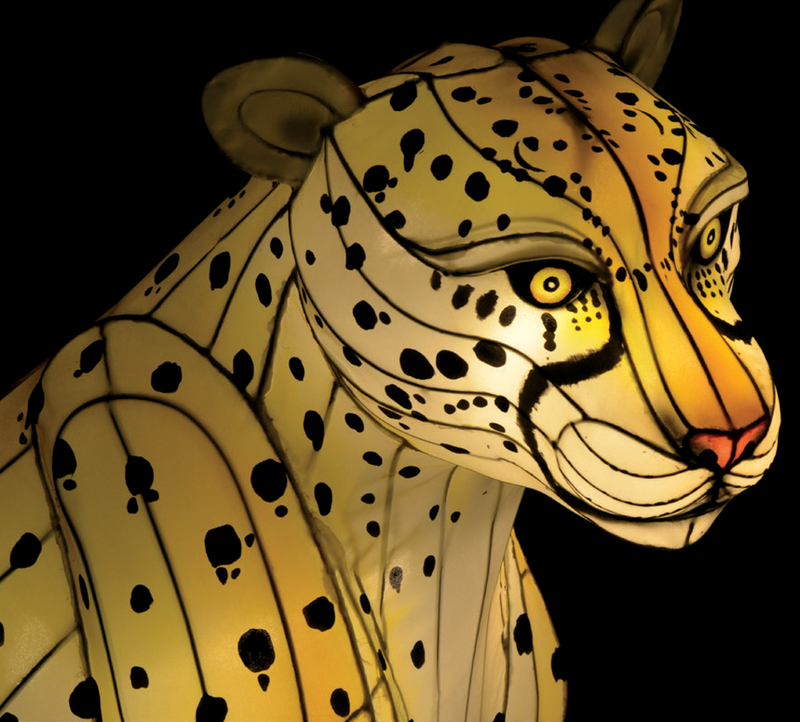 The skillfully made, illuminated lanterns in the form of wildlife and animals from around the world were breathtaking. The meticulous details in some of the structures fascinated every onlooker. There is a peacock constructed with medicine bottles filled with colored water. 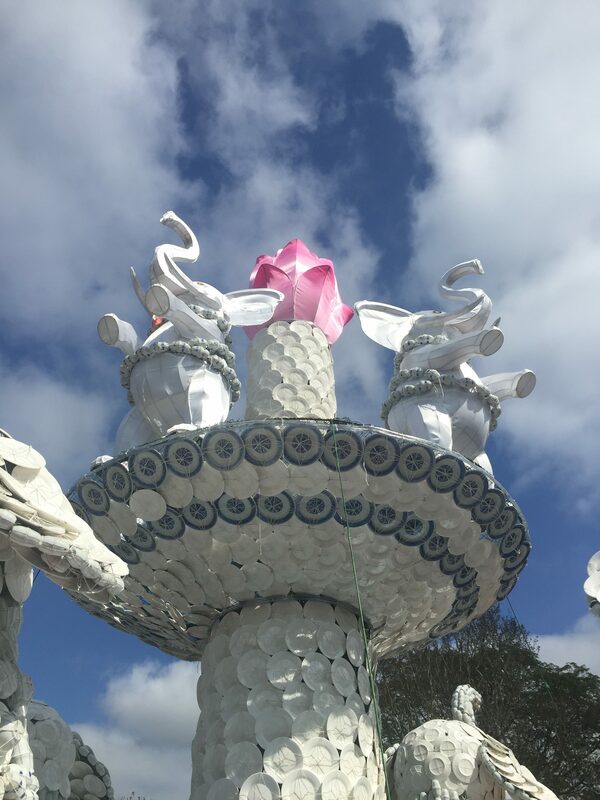 Also see thousands of fine china cups and saucers that create the soaring elephants. The creator and president of Hanart Culture, George Zhao, has a passion for his culture, enjoys sharing it with Gardens across our nation and he tells a wonderful story through this festival. 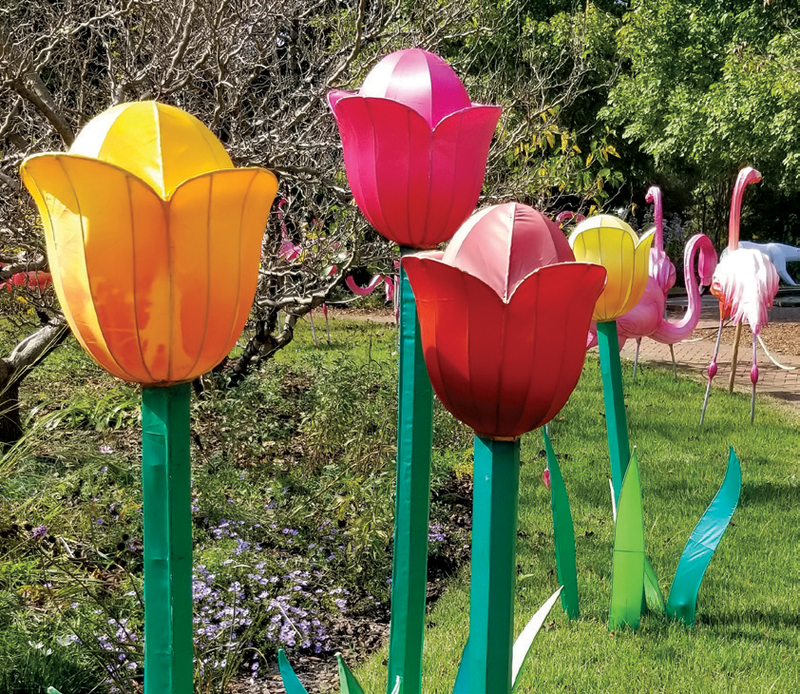 The staff at the Huntsville Botanical Garden knew we wanted to bring this lively festival here, and with an excellent model to follow like our volunteer-lead Galaxy of Lights, we knew we had the structure in place to host this Festival for the Tennessee Valley and so the planning began. Our Garden team of staff and volunteers are eager to provide not only a cultural adventure, but an excellent Garden experience as well. We have immersed ourselves in our commitment and look forward to sharing it with everyone! The festival begins March 20, 2019 and will be here through May 19, 2019. 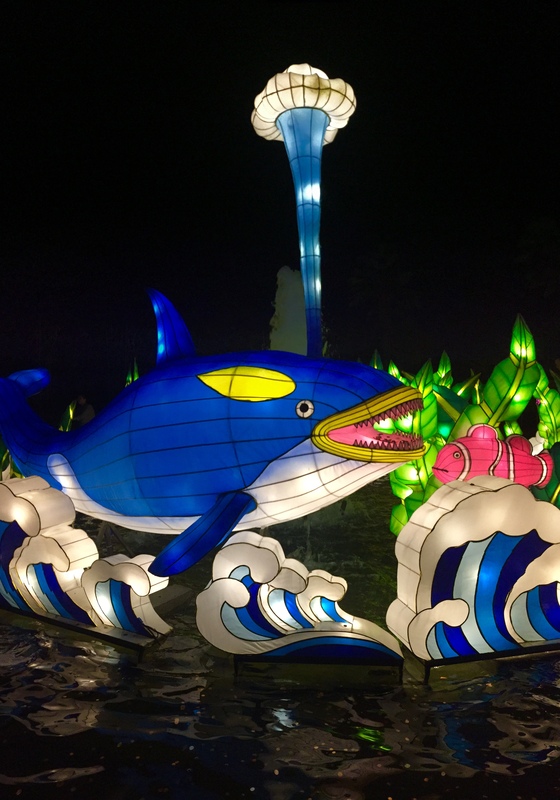 We will feature over 1000 vividly radiant lanterns, live Kung Fu performances, Shadow Play puppet shows and a Chinese Folk Art Marketplace. Tickets are on sale now. We hope to see you soon!